Messenger Lite, the lightweight version of Facebook's messaging app is now available in 150 additional countries, but not India as of yet. 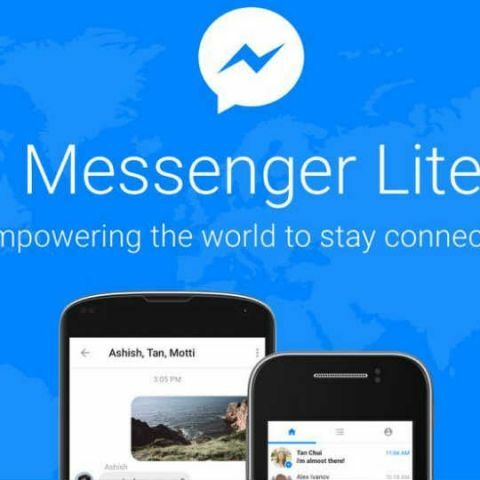 Starting today, Messenger Lite will be available in Germany, Colombia, Italy, Vietnam, Algeria, Morocco, Nigeria, Peru, Turkey, Japan, Taiwan and the Netherlands. The app was first announced in October for Android users in Kenya, Malaysia, Sri Lanka, Tunisia and Venezuela. Messenger Lite, like Facebook Lite, is aimed at users with low-end hardware devices or those who access the internet on 2G networks. The app consumes less memory and processing power compared to the full-fledged Messenger app. The social networking giant had recently announced that Facebook Lite had reached 200 million users. "Making sure that everyone can have a great experience with Messenger irrespective of the age of their smartphone is very important to us," Messenger's David Marcus said in a Facebook post. With the expansion to developed markets, it seems Facebook is ditching the idea of making its lightweight app available only in developing markets. However, it's surprising that the app is not yet available in certain countries like India, Bangladesh and China. Messenger Lite supports core features like messaging and photo sharing, but lacks support for recently introduced Messenger Day feature and camera effects. Messenger reportedly has around 1.2 billion monthly active users.